Earn SDSU Credit through Open University. Registration Opens Jan. 16. 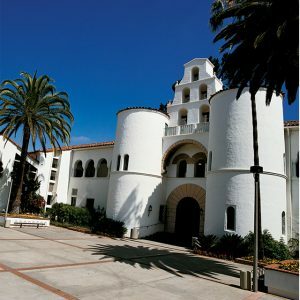 San Diego State University’s Open University program allows you to attend regular SDSU classes and earn credit, if space is still available after SDSU students have registered. Many of the courses are online, making Open University even more convenient. Registration is Jan. 16–29, and classes begin Jan. 23. Open University benefits a variety of potential students: high school graduates wanting to explore SDSU classes; students seeking acceptance into SDSU or needing to boost their GPA; students who missed the SDSU applicatiåon deadline; working adults not currently in an SDSU program, looking to complete their degree, advance their career, or learn new skills; former students who need a certain course or credits to graduate; and students who attend other universities and would like to earn transferable credits. Find your course(s) of interest. The far right column indicates how many open seats remain. Write down the schedule number of each course of interest. Create an online account with the College of Extended Studies. Click on Open University Registration to register and pay for your classes. Earning an Open University Certificate in one of nine popular areas of study is another option — from Computational Linguistics and Entertainment Management, to Women’s Studies and Geographic Information Science. Certificates offer a highly focused curriculum and can be completed relatively quickly, ideal for working adults. Details are at neverstoplearning.net/opencertificate. For more information, visit neverstoplearning.net/openu, call the College of Extended Studies Registration and Enrollment Services office at (619) 594-5152, or email ces.registrar@sdsu.edu.